Barack and Michelle Obama are incredibly smart, articulate and charming. They came from relatively modest backgrounds and the Obama administration was nearly completely scandal free. So why wouldn’t Republicans vote for the man whose only real promise was to be the anti-Obama? On the governing front, we’ll he’s been the anti-Obama there too. He’s trying to overturn every single Obama accomplishment, including Michelle’s efforts at ensuring that poor children receive at least some nutrition at school, which for Republicans, is a step too far. 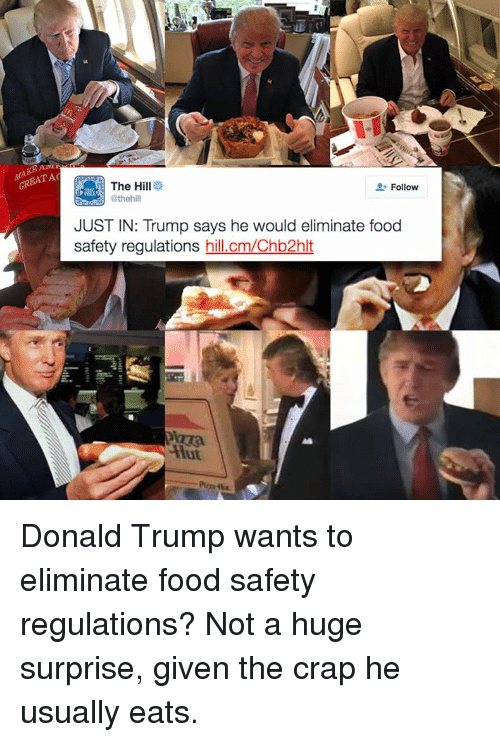 Now, the Trump administration is putting a stop to those evil healthy lunches. Agriculture Secretary Sunny Perdue is delaying requirements for schools to have reduced sodium in lunches and he is issuing waivers so schools won’t have to serve whole grains. Yes, depriving children of healthy lunches is petty and petulant, but that’s the way the Trump administration rolls, so Michelle Obama weighed in. She even used Trump’s own words against him, saying that if we want to Make America Great, we need healthy children. It does seem pretty simple, doesn’t it? Author Wendy Gittleson is a political pundit, small business marketing guru, business blogger -- a true renaissance woman, which apparently makes her really old. By the way, did you know that every time someone mentions impeaching Trump (or shares one of Wendy's articles), an angel gets its wings? Follow Wendy on Twitter or Google Plus.